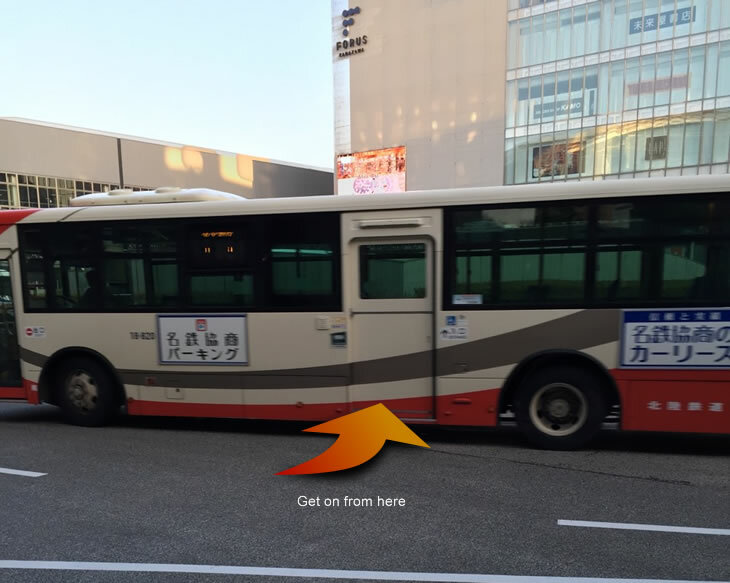 There are regular lots of buses in Kanazawa and understanding all of them are hard, however the bus lines going to tourists attractions are limited so easy to understand. The buses are operated by Hokutestu-bus and run frequently. There are two big bus terminals in east and west exit in Kanazawa station. All the buses go to tourist attractions depart from east terminal and the bus stops are within ten stops from Kanazawa station. Enter the bus from back door and take number printed ticket. You are supposed to press the button nearby you when you want to get off, but other passengers will do it at tourist attraction most of the time. Much the ticket number on the fare indicator above the driver. Pay the bus fare by dropping coins in a fare box when you get off. The fare box doesn’t give you a change but there is a money change in front of fare box. You can change 500yen coin or 1, 000 yen note into small coins but you cannot change 5, 000 yen and 10, 000 yen note. The bus fares to majour tourist attractions are between 200-220yen. Some buses are not on the list to simplify.